The weather has been cooling, and the rain is starting. With the change in weather the creepy-crawly spiders are starting to find their way into the house, it gives me the shivers! It’s tough to be a Mom and have to pretend not to be afraid of them! 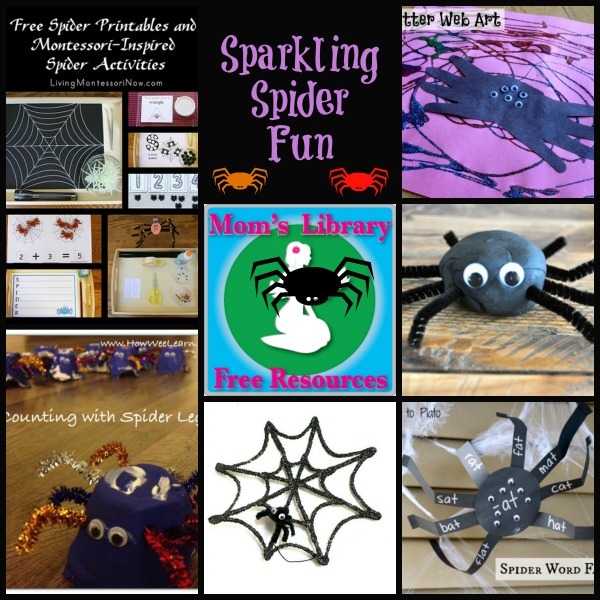 So in honour of all the Moms (and Dads) out there who put on a brave face, I thought I’d feature these easier-to-handle, cute and educational mostly sparkly spiders. There was an outstanding 183 ideas linked up last week with Mom’s Library! It’s so great to see it growing! 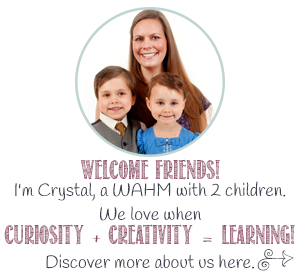 To see all of the great ideas submitted, be sure to check out last week’s Mom’s Library where I focused on Autumn Nature Fun. Sorting Sprinkles shares a counting game using playdough spiders and dice as well as other activities. 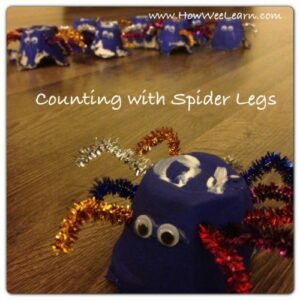 How Wee Learn also has a spider leg counting activity, but using different materials. 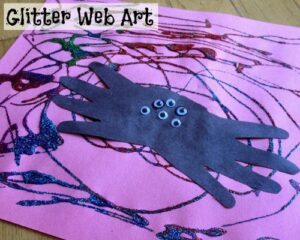 Tutus and Tea Parties has some sparkly web art and a handprint spider. 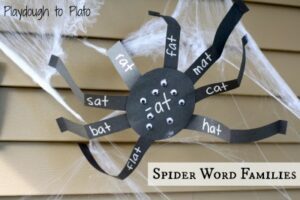 Playdough to Plato has a wonderfully wiggly-eyed spider word families. 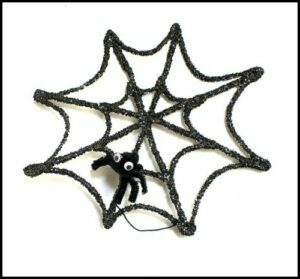 Buggy and Buddy has the cutest little sparkly web and spider that will add to any decor. 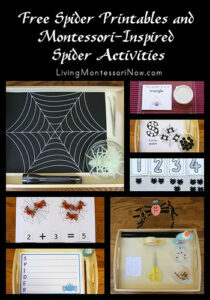 PreK + K Sharing has a fun round-up of spider printables and activities. Thanks for hosting the great party!!!!! I also added it to my directory for others to find as well! I have linky envy! I love, love all the links. I need to look into how to do this on my own blog. Love to see those spiders. We think of doing arachnids with kids. Thanks for sharing. I participate in the link up too. We just finished a speedy lapbook about spider webs…could spiders be next? Have fun! 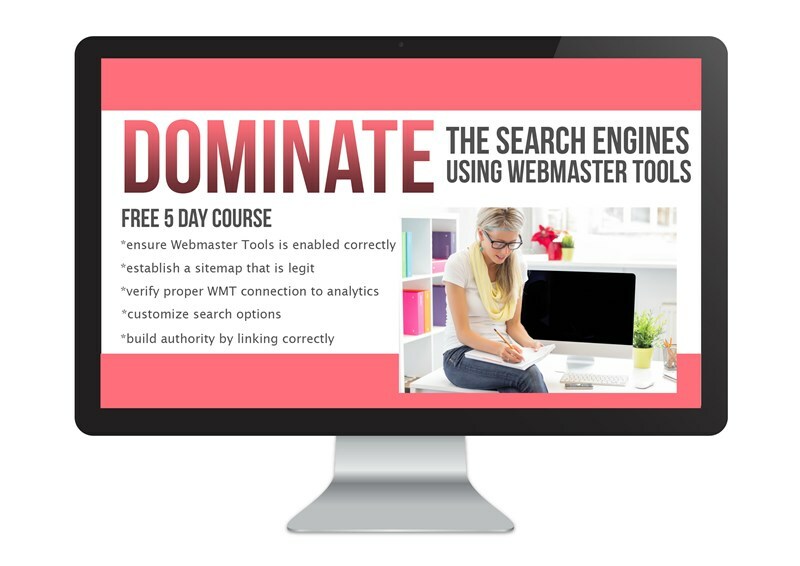 I will look for you in the link-up later tonight 😉 Thanks for sharing! I envy the link-up too! That’s awesome! I would like to do one with somebody–but have to find the right fit! Eeeeek Spiders! I’m not a fan of REAL spiders, but I’m a fan of this kind! 🙂 So fun! Thanks so much! I’m definitely NOT a fan of real spiders! My son thinks it’s funny to point out all of the shop decorations to me to see my exagerated reactions! I have not done any crafty fall stuff with my kids yet…still trying to decide what to do! Google play. It will not work on the tablet I share with the kids (Kindle) but hubby could use it. 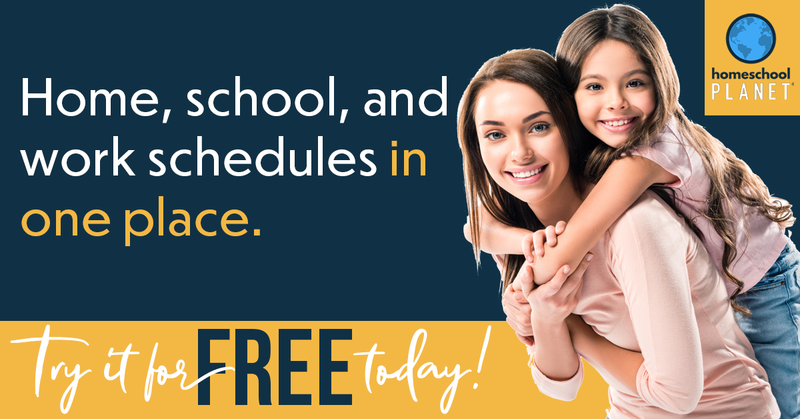 Thank you for such an amazing resource! I love seeing all the ideas! There are always lots of new ideas! And also older ideas made fresh with a new angle, it’s great! ‘Natural decorations’, I love it! 🙂 Thank you for linking up, I am looking forward to seeing what you have in the future! I love those spiders! So cute – and that word family spider is genius! I totally agree with you, Jody!